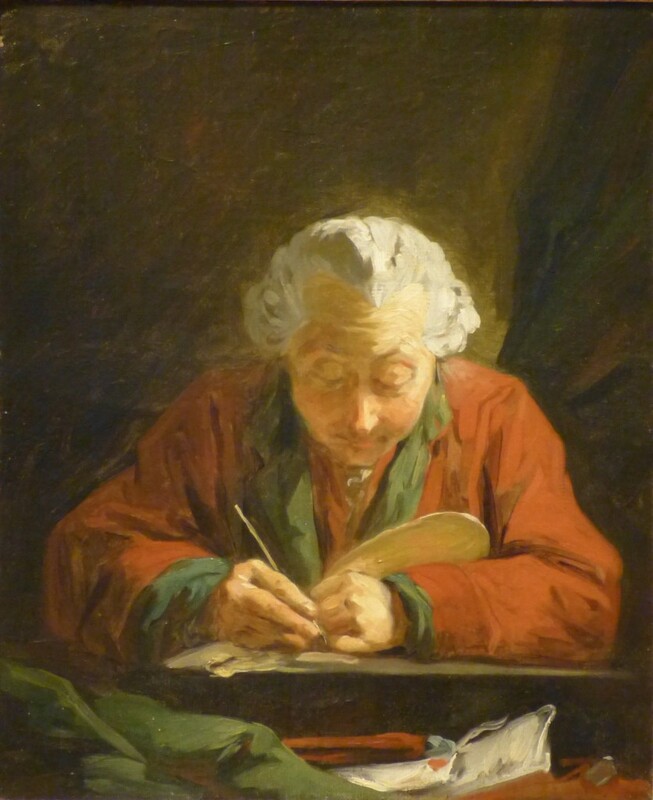 “Unknown” is rather a comedown from “Fragonard”, but the piece is just what it was before: briskly and confidently painted (how decisive the hair is–and check out the nose, the right sleeve). Except for the face, each color is modeled in just three tones–dark, medium, and light. The overall hit is cheerful and admiring. Fragonard or not, it’s just delightful.